Our hybrid app got featured on App Store! Water For Free 撲水 is one of the projects we have been working throughout 2017. It is a water dispenser map, collecting water fountains information in Hong Kong, aiming to help the public to refill their water bottles while on the go. What technology stacks we used to build this app? Development for hybrid apps often requires less time and effort, hence it's less expensive than a native app. Hybrid apps are also easier to scale to another platform. Once we built for iOS, we can launch on another like Android instantly with minor style adjustment. 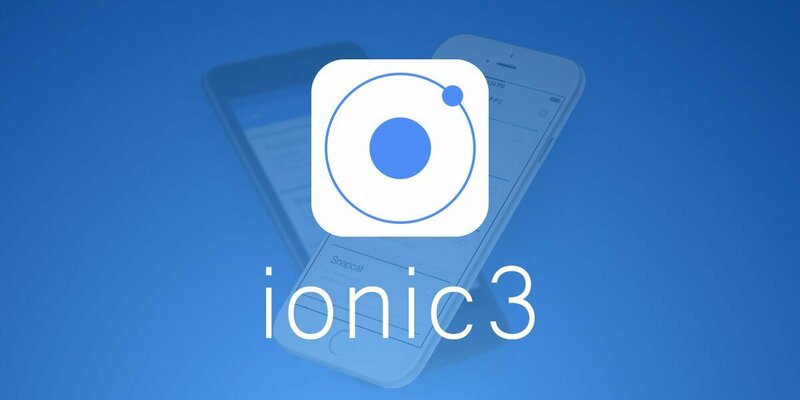 It also retains the same ability to access device features as with native apps, thanks to solutions like Apache Cordova that act as a bridge between the native SDK and the webview in which the hybrid app runs. Of course, nothing is perfect, performance is probably the biggest disadvantage. Since hybrid apps actually run in a browser-like environment called webview, hybrid apps performance depends on the performance of the webview. Thankfully, the performance of recent mobile devices has increased tenfold. Devices like iPhone 6S and Samsung Galaxy S7 have an excellent and powerful webview. For iOS, new OS component like WKWebView allows hybrid apps to be more powerful, in often case, professional cannot differentiate hybrid app from native app without a closer look. 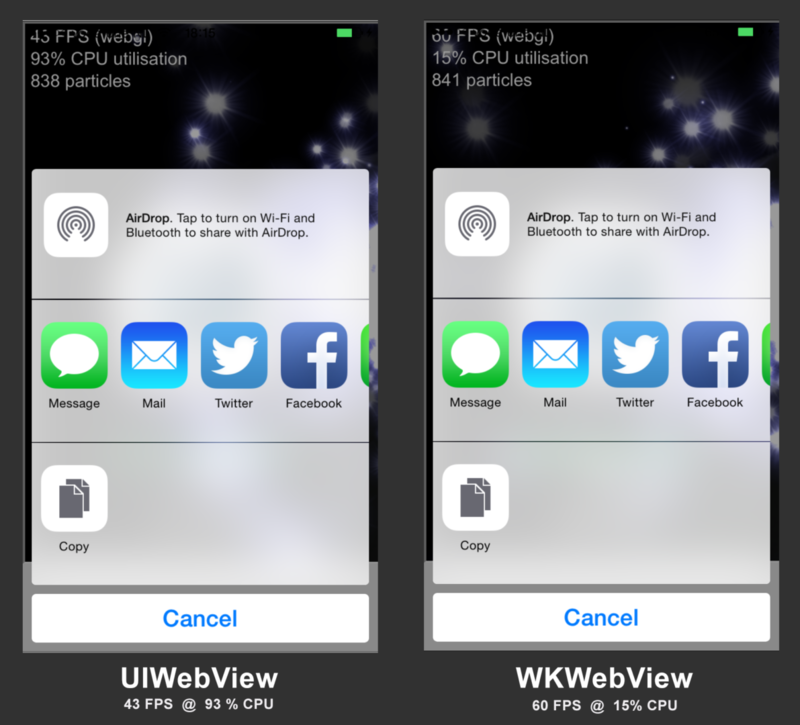 Check out the following WebGL test, WKWebview outstands UIWebView with less cpu power and better graphic performance. New OS Update like WKWebView make Hybrid Apps rocks! Come on, it is 2017, of course you can submit a hybrid app just like a regular native app. 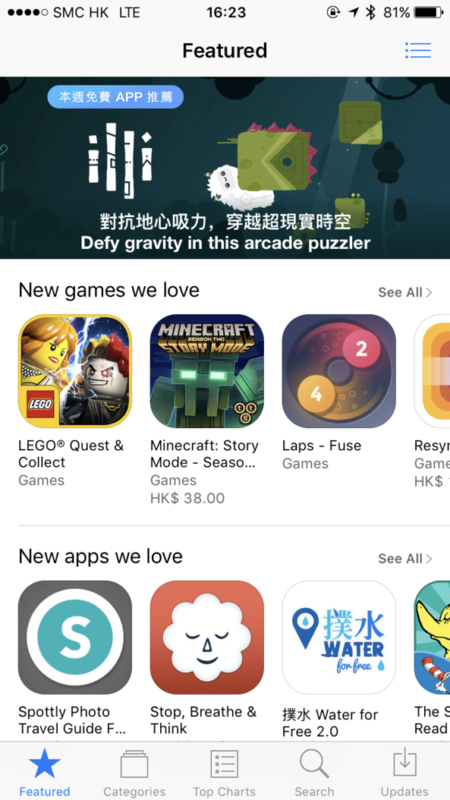 As a matter of fact, 撲水 Water For Free made it to the app store top 80 downloads list in Hong Kong within one month since app launch. It was also featured on App Store Main Page, "New Apps We Love"! We would say if your app is really good and useful, no one, not even Apple, cares if it's a hybrid or native app. If you are still not convinced. Try it our and let us know your thought. Water For Free is available now on App Store&Google Play Store. Interested in working with us and build your own hybrid app, you came to the right place, we are hybrid app experts! Feel free to contact us for more details!